Ocala Breeders’ Feed & Supply stocks high quality wildlife & aquatic feed. There is something about throwing a handful of fish food out and watching the pond come to life with fish wanting a taste. We have the fish food to make your pond come to life whether you have a small goldfish pond or a large stocked pond we have you covered. We have a large variety of aquatic and wildlife feeds available. 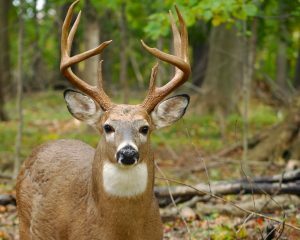 Looking for Antlermax products? We stock them in our Highway 27 location. We are always happy to special order any wildlife or aquatic feeds you may need. Aquavet products are also available at Ocala Breeders’ Feed and Supply for all your pond care and maintenance needs. AquaVet by Durvet is a complete line of pond management products featuring the latest technological advances in aquatic science. Blue (and Black) Pond Dyes with Suspend™ Technology – stays bluer longer. Probiotic Pond Cleaner featuring BioStart Complex – cleans pond faster. Algaecide with Stabitrol Technology – for better residual control.